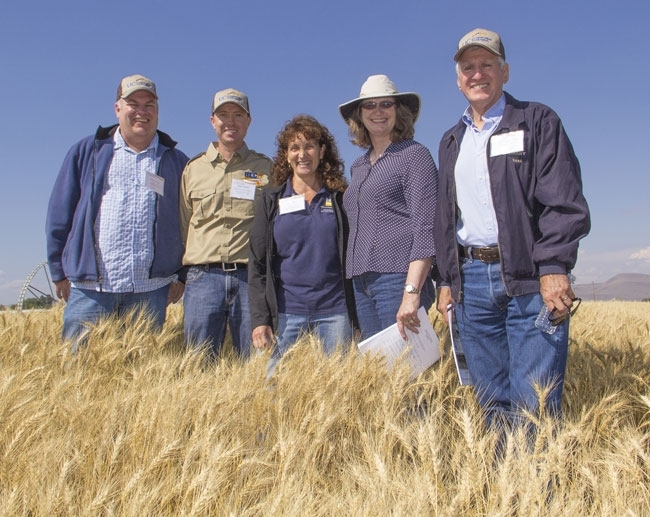 The annual field day at the UC Intermountain Research and Extension Center held last week provided an opportunity to mark the 100th anniversary of UC Cooperative Extension with leaders of the organization, reported Todd Fitchette in Western Farm Press. The research activities at the Intermountain center, situated near the California-Oregon border in Tulelake, focus on peppermint, horseradish, small grains, wheat, potatoes, alfalfa and onions. At the field day, UCCE researchers discussed the progress of alfalfa production in the Klamath Basin, suppressing white rot disease in processing onions, maximizing profitability of wheat, pest management in peppermint and other topics. The Intermountain Research and Extension Center is one of nine centers under the UC Division of Agriculture and Natural Resources (ANR). The 140-acre facility provides UCCE advisors and specialists the space and support needed to conduct agricultural research in a high mountain interior valley climate zone. See 18 more pictures of the event in the Western Farm Press gallery.